By leveraging on our experience with containerisation, we also provide various solutions for special cargo carriage. 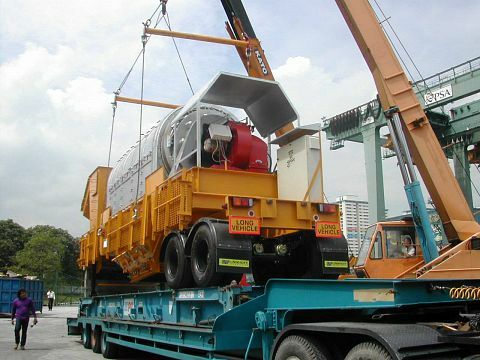 Generally defined as cargo that is over-sized and/or over-weight, and cannot be fitted into ISO standard container boxes, PIL has positioned itself to embrace OOG (Out-Of-Gauge) and UC (Un-Containerised) cargo from our customer’s diverse businesses, be it oil and gas exploration, construction projects, yacht deliveries, or others. Our vessels are deployed into liner services with extensive global reach, ensuring our customer’s projects run on time, on target. Our Build-Own-Operate approach to equipment management dictates that our entire fleet of container boxes / special equipment manufactured by our sister company, Singamas, are built to our exacting specifications and quality to achieve CSC Safety Approval: the seal of utmost safety for the sea-carriage of our customer’s cargo. Expertise from our dedicated team at Special Cargo Desk executes individual stowage instructions for each and every special cargo on our vessels. The end result is minimisation of utilised space and cost for our customers, thereby maximising their business margins.